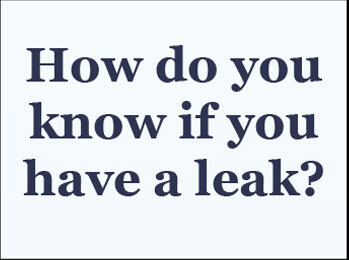 Most of the leak detection I perform involves finding sources of water leaks or slab leaks underground. Occasionally I perform a house water leak service for piping that’s above ground. These involve water leaks occurring from a drain or domestic water line, with water appearing as far away as 20-30 feet away from the actual pipe leak. At this home, there was a stream of water flowing down from a header at the basement stairs. The actual water leak was above a first floor door frame leading to the kitchen, almost 20 feet away. 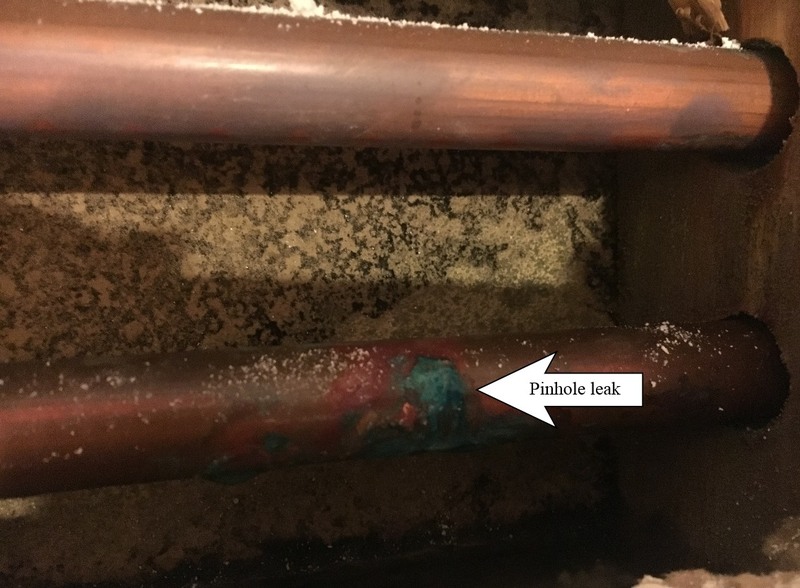 The leak was from a pin hole that had developed in the pipe over time. You can see the verdigris, or green deposits on the pipe, in the photo below. This is formed from the water leaking, and the electro-chemical reaction from the copper and H20 combining with the air. I began the leak detection by observing the entire affected area with a highly sensitive infrared camera. The device I use shows areas where water is soaking the drywall on the inside as dark and other areas lighter. The camera actually reads the coolness of the water evaporating, which allows for tracking down the leak. In this case, as well as many, the image produced helps find the house leak, but isn’t definitive enough to provide a final answer. There was water showing at the basement ceiling as well as a wood flooring area outside the kitchen, (as well as the water mentioned above flowing from the header at the basement stairs) which corresponded with the wood flooring leak. The next leak test involved draining the water pipes and pressurizing them with nitrogen to listen for the water leak. Once that test and a couple of others were finished, a small area above the kitchen door was determined to be the leak location and a small area above the door was opened. I could see two copper pipes running horizontally above the door, and reaching down could feel that the wood above the door frame was soaking wet. The rest of the area above the door opening was exposed and the house water leak was found! The owner was very happy that the leak detection was accurate and efficient. Without professional leak detection, the plumber would have had to open up a lot of additional drywall, causing much more expense and mess in the end! Reviews and feedback make my job rewarding! 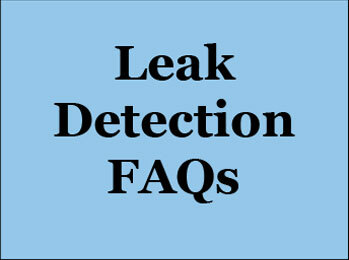 Reliable Leak Detection,LLC shared a post. It all goes back to sewage. Here's a Five Star review I received on "Google My Business". I've always felt that taking the time to help someone is the most important thing that I do with my business. It's a big part of why I love my job. That starts with answering phone calls and making sure that the person I'm talking to really needs my assistance. In some cases, I've found that if I spend 10 minutes on the phone with the person calling in I can be more effective on determining their problem and, in some cases, help them help themselves. That was the case with Bari, who had a leaking toilet. After explaining some basics on how he could check the toilet himself, he was good to go! Thanks Bari for the awesome review! This is absolutely an amazing company and Brandt a truly remarkable person. I had a note from the Water department that I had used 58,000 gallons of water in two months. I had called a plumber and they couldn't come out for 4 days. When I was on the phone with the plumber they mentioned that Reliable Leak Detection would be my next step if they didn't find anything. I didn't want to wait so I called Reliable Leak. Brandt took the time to talk to me and walked me thru several different steps to try and find the leak myself. Most companies would have just came and charged me for what I could possibly do myself. Brandt is an amazing businessman who clearly isn't in the business to take money from people, but to help! He told me if the first thing he said to look at didn't find the leak, to call back and he would tell me another thing to check. Brandt did all of this out of the kindness of his heart and without charging me. I was calling to schedule an appointment and he turned the conversation around to helping me and save money. This truly shows the character of this company. Underground water pipe leak located at a large truck depot in Middletown, Ohio. The 4" water service leak turned out to be two separate water leaks, losing roughly 10 gallons per minute between the two leaks. There was water rising up through the 12"thick concrete slab in several locations. By using Reliable Leak Detection to find the leaks, the plumber was able to repair the leak in a cost effective manner, saving the trucking company a large amount of money and the making the plumber look great. 1. The leaking water service was 7 ft deep. 2. The concrete was 12" thick. 3. It was a windy day. Wind whipping by a ground microphone is hard to distinguish from the sound of a leak. 4. There were trucks constantly driving through the depot near the leaks. Think trucks = vibration = sound = frequent interruptions to leak listening. The underground water pipe leak detection literally saved the customer thousands of dollars and limited the amount of excavation and concrete removal/repair needed to finish the job. Leak detection for finding the water leak on this project involved first locating the water service pipe. I was able to connect to the main at the pit and then locate the line. This helps in a huge way because you are not only determining the location of the pipe, but also the depth! The next step is listening along the line of the pipe. 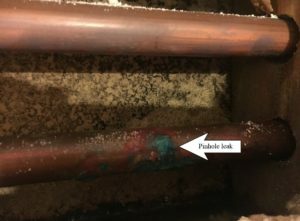 One leak was detected near some resting trailers. This leak was very loud and due to numerous challenges with drain pipes, proved to be difficult. The second leak was in the middle of the truck lot and was much quieter, to the point where it was just the opposite of the first leak. It didn't make much sound and with the wind blowing hard out in the open lot, it made finding the water pipe leak very difficult. The plumber did call and let me know the underground water leak detection work was very accurate. 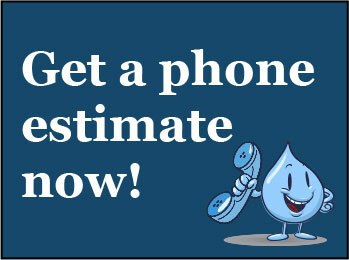 If you need help with water service leak detection, call Reliable Leak Detection at 513-488-6234. 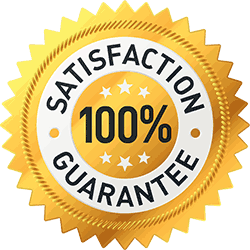 I promised you'll receive nothing but a friendly, non-sales conversation to determine, first whether or not you need my services, and if you do need leak detection, reasonable and accurate pricing.